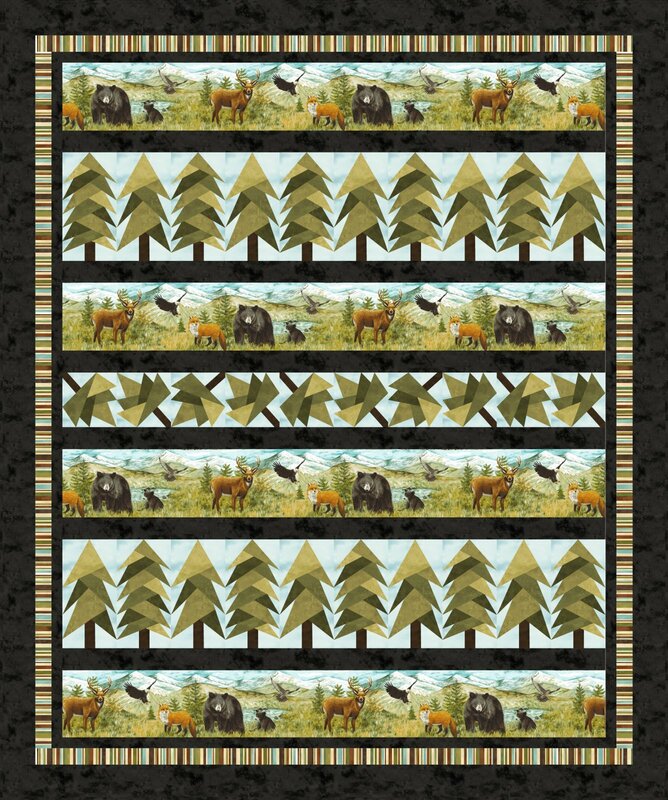 Explore the outdoors with Tall Timber and create your own forest of trees and leaves with this wonderful row by row, made quick with fussy cut rows from Northcott’s Mountain Springs line. The kit includes all fabrics to complete this wonderful, paper pieced row by row - even the repeating stripe print used for the alternate rows. And of course the coordinating backing is included as well! KIT INCLUDES THE PATTERN.